Leben was an enigmatic talent, winning fights he was trailing, losing others it seemed he should have won, and often finding trouble along the way. But he played an important, overlooked part in UFC history. 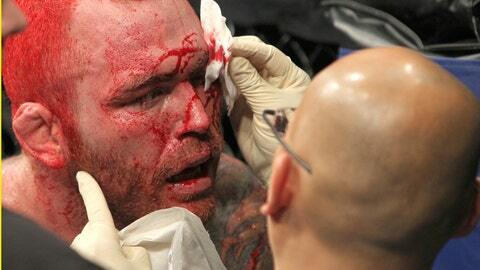 Chris Leben, the colorful and enigmatic southpaw slugger who played an often-overlooked role in the growth of the UFC, has retired from mixed martial arts at the age of 33. On Sunday, Leben tweeted that he would be taking a job as the team coach at San Diego MMA training center Victory MMA and Fitness, and on Monday, he made his exit from competition official during a Monday interview on The MMA Hour. Leben said that even before his last fight, which came against Uriah Hall at UFC 168, he and his wife sat down and discussed the possibility of it being his last time in the Octagon. 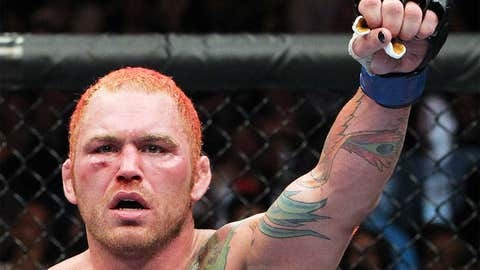 They ultimately decided to see how his performance went, and despite a camp that he considered one of his best ever, Leben was battered in the first round and declined to go out for the second round, ending his career on his stool and with his wits intact. I’d like to still have my head on my shoulders and have a brain when I’m raising kids and doing all the other stuff that I want to be part of, and I think it might be time for me to gracefully bow out. Leben fought 22 times in the UFC, going 12-10 with notable wins over Wanderlei Silva, Patrick Cote, and Yoshihiro Akiyama. The Akiyama fight was possibly the apex of his career, coming on a huge stage at UFC 116 in July 2010, just three weeks after a win over Aaron Simpson. For two rounds, Leben was mostly out-struck and out-wrestled, but gradually, Akiyama began to tire and Leben took over, dramatically locking in a triangle choke hold with 20 seconds remaining. His career, however, was filled with ups and downs, sometimes caused by his own doing. For example, less than three months after defeating Akiyama, he was arrested and charged with driving under the influence, one of two arrests while competing under the UFC banner. He also twice failed post-fight drug tests, once after a decision loss to Michael Bisping in Oct. 2008, and another time after losing to Mark Munoz in Nov. 2011. Both cost him time on the sidelines due to suspension. Leben made a name for himself in the UFC as a fearless slugger. Leben was ultimately kept around through it all because he was exciting, but also because UFC president Dana White had a soft spot for anyone associated with the first season of The Ultimate Fighter. That season, which jumpstarted the popularity and profitability of the UFC, is often remembered for the epic final between Forrest Griffin and Stephan Bonnar, but Leben was a centerpiece of the drama in the house that reeled in viewers, as he was often involved in conflict with fellow cast members Josh Koscheck and Bobby Southworth. After starting his official UFC run with four straight wins, Leben moved within position to compete for the middleweight championship, but it was then that he ran into Anderson Silva, who was soon to usher in a new era. Silva would win dominantly, and Leben would never again make a push to the top of the rankings. However, with his fan-friendly style, he engaged in several memorable bouts, and until his recent four-fight losing skid, he seemed always a threat to end a fight with one quick strike of his thundering left hand. I'm super excited. Looks like I'm getting my dream job being the team coach at victory biggest gym inSD and also teaching some classes. He retires with an overall record of 22-11. "I really can’t be upset,” he said. I’ve had just a wonderful career. And again, I didn’t start fighting until I was 21 years old. Back then you could actually get into the UFC, win and do well just on being a tough guy. I was a tough guy, I had some techniques, and that always worked for me. But when you look at these guys now, like Uriah Hall, I mean, they’re just a different breed of athlete than I am. The game has been evolving and changing so much, so rapidly, that I’m actually pretty happy that I can say I was in it for as long as I was in it."